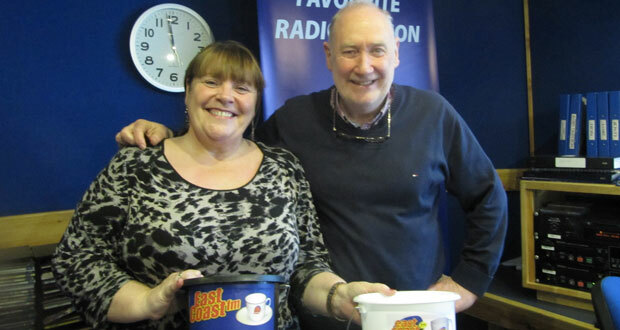 Mary Byrne with East Coast FM presenter Declan Meehan. 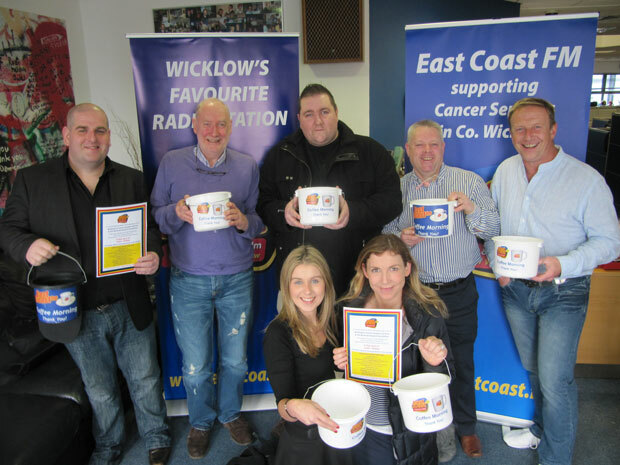 East Coast FM’s sixth annual Wicklow-wide Coffee Morning in aid of Wicklow Cancer Support Services and Wicklow Hospice Foundation takes place on Friday, April 4 from 10am to midday. The station is running this year’s county-wide coffee morning in conjunction with the East Coast FM Morning Show with Declan Meehan. Coffee mornings will take place simultaneously in 11 different main venues around the county with confirmed performances from musicians Paddy Casey, Kim Hayden, Mary Coughlan, Paddy Cole, Mary Byrne, Luan Parle and Connor McKeon. Comedian Dave Young will also make an appearance along with TV Personalities Craig Doyle and Amanda Brunker, Fair City’s Pat Nolan, bestselling authors Sarah Webb and Emma Hannigan and former Rugby international Shane Byrne. To make this event a success again and to raise plenty of cash and awareness for the Wicklow cancer support services and the Wicklow Hospice Foundation we need to get as many people as we can to the venues on the day. · let as many people know about it as possible. For a donation on the day, you will get coffee/tea, refreshments and the opportunity to win some fantastic prizes including weekend and overnight breaks, beauty hampers, dinners and much more. We will have a dedicated East Coast FM reporter on site at each venue and in some cases an East Coast DJ and hopefully a few famous faces. The Coffee Morning is to raise awareness and money for the 5 cancer support centres/services in County Wicklow (Bray, Greystones, Rathdrum, Wicklow and Arklow) and the Wicklow Hospice Foundation. These organisations do fantastic work and face a constant lack of funding. They are an invaluable service for the county and our aim is use East Coast FM again as a vehicle to get the people of Wicklow together to help raise awareness and plenty of money while having a good time. Ryan O’Neill (Presenter), Declan Meehan (Presenter), Rob G (Presenter ), Tommy Greene (Presenter), Gareth Farrell ( Head of News) Front row: Claire Darmody ( Event Organiser ), Laura Wood (Presenter). · Kavanaghs, Vartry House, Roundwood. “The unique aspect of the coffee morning events is that every penny donated goes to the charities, all of the celebrities, sound equipment, refreshments, prizes, posters, transport, tea, coffee, raffle tickets, reporters and venues are all donated or donate time for free so the events incur no costs,” said organiser Claire Darmody.